KBL Raynham Healthy Vending Company has been locally owned and operated by the Lennon family since 1987. Over 32 years ago, Kay & Bill Lennon “Mom & Dad” purchased their first 10 vending machines and started their new vending business with their family and began a wonderful Adventure. Through hard work and dedication to outstanding customer service, KBL Raynham has grown to be one of the largest family run vending companies in Raynham Massachusetts, Rhode Island, And New Hampshire ever since. KBL- Raynham Traditional Full Line Raynham Vending & Healthy Vending Leaders Today. KBL Raynham provides a variety of options to fit the needs of your business. We are proud to offer a variety of healthy vending machine options, as well as fresh food vending / cold beverage vending and of course traditional snack vending. KBL Raynham Massachusetts provides traditional full-line vending as well as healthy vending and a combination of both. We place our vending machines hassle-free and at no cost to you. Machines are installed to meet the needs of your location at your convenience. All equipment is in excellent working condition, and our 24/7 customer service ensures they will continue to serve your office effectively. 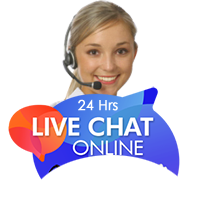 On the right side of each page of our website you will notice to M&M guys that says live chat... A Team KBL Raynham MA Rep is waiting to hear from you and answer any and all questions you may have.